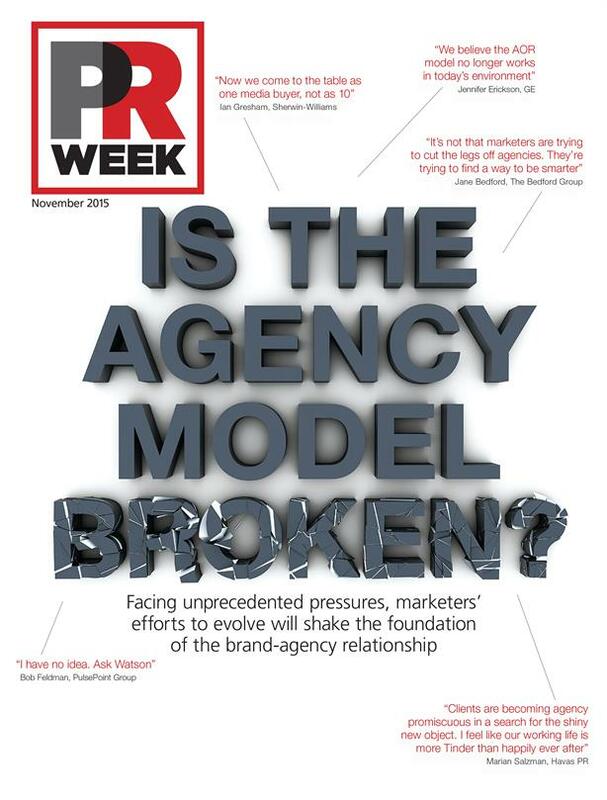 • Is the Agency Model Broken? – A fast-changing industry is calling for a new brand/agency relationship. Whether spurred on by a desire to have one agency representing a brand to create consistent and holistic messaging, the desire to trim costs, or the seismic shift to a digital marketing spend, myriad brand marketers are re-evaluating how they work with agencies. This new reality will create opportunities and challenges for all agencies as they evolve their service offerings to address client needs. • PRWeek Diversity Awards – In what is arguably one of the most important issues of today, PRWeek shines a spotlight on the agencies, brands, and individuals stepping up to ensure the future of the PR industry is more diverse. • Travel and Tourism Roundtable – Travel and tourism is a vital contributor to the US economy. Direct travel spending in the US totaled $927.9 billion in 2014. Industry leaders representing the US Travel Association, Brand USA, and numerous convention and visitors bureaus convened in Columbus, Ohio, for this Fahlgren Mortine-hosted roundtable to discuss topics including the keys to persuading consumers to travel, overcoming safety concerns, and the impact mobile has had on the sector. • CEO Q&A – After recently returning to Reddit, cofounder Steve Huffman talks about how the company is faring after a tumultuous few months. • City spotlight – Kyoko Fujii Takagi, corporate comms division supervisor at Dentsu PR, details how the evolution of social media has impacted the city’s comms landscape.